Yet again, Tegan and Sara have proven that the very best pop comes in small, compact packages. As with 2013’s incredible ‘Heartthrob’, ‘Love You To Death’ has just ten songs that all hover around the three minute mark. And there’s not a bad song amongst them. And in many more ways, this album is a sequel to the last. It continues the perfectly polished, 80s influenced pop aesthetic of ‘Heartthrob’ and its focus is again on love songs. Yet here the songs are more insular and self-aware, the twins questioning their own thoughts and feelings. “When did I become that girl?” they ask on opener That Girl, “nobody hurts you like me”. For a generally upbeat album that fizzes and bubbles, Tegan and Sara sure like to write dark lyrics – but then, that juxtaposition is what makes happy-sad pop so alluring. “Put a little of you into my heart / Took a chance and you tore it apart,” they sing on standout Dying To Know, “I’m dying to know, is the one you ended up with everything you wanted?”. Lyrically it might mirror Adele, but it’s accompanied by clipped, processed beats and syncopated synths. Stop Desire may seem like the giddy rush of falling in love, but there’s an edge to the emotion – “I didn’t wanna be so invested / I played it cool and then I overdressed it”. This reaches a climax with 100x, the album’s core ballad. It’s a gentle, piano-led break-up song that sees the girls lamenting “I swear I tried to leave you at least a hundred times a day”, the lyrics amongst the most raw they’ve written, refreshing in their position as villain rather than victim, heart-breaking in their truth and honesty. And where in other songs the lyrics are masked by pop hooks and vibrant synths, here the emotion is laid bare. It’s an arresting listen and a brave move to unveil such vulnerability. Things eventually change though – on U-Turn, the girls finally relax. 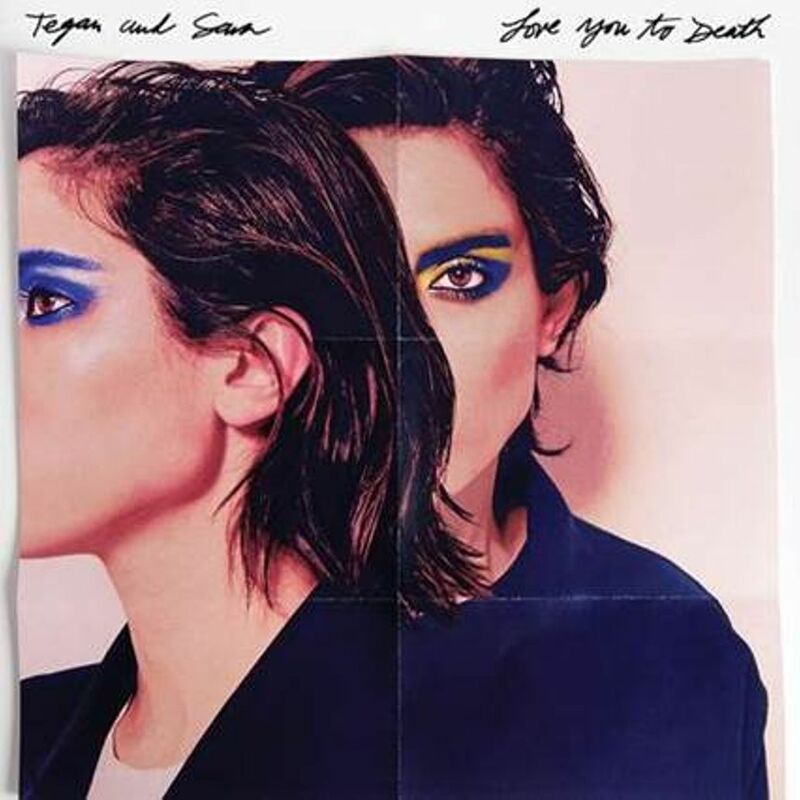 If ‘Love You To Death’ is about personal character development, then this track summarises it all as they learn to “write you the love song you’ve earned” rather than selfishly focusing on themselves. All this is to say that ‘Love You To Death’ is an album of honesty, reflection and growth; raw human emotion wrapped up in a colourful pop package. There’s more though – with this album the girls are more open about their position as LGBT advocates. There are small moments, like their open use of female pronouns. There’s a nod to equal marriage on BWU, the girls noting “I don’t need a ring to prove that you’re worthy”. And there’s the darker side of gay romance on Boyfriend – “you treat me like your boyfriend,” they sing, “but I don’t want to be your secret anymore”. That said ‘Love You To Death’ shouldn’t be viewed as a gay album, it is simply pop at its most open and honest. The only downside is what’s come before. ‘Love You To Death’ doesn’t quite have the novelty factor of ‘Heartthrob’, on which the girls experimented with a new pop sound. And there’s the small matter of Taylor Swift and Carly Rae Jepsen – Tegan and Sara have a similar sound, but don’t quite have the mainstream clout. That deserves to change. Listen: ‘Love You To Death’ is out now.